Hyundai South Africa has refreshed its i20 range for 2018. Introduced into the mix is an all-new Active crossover derivative, but we believe that the bulk of i20 sales will come from lower in the range. 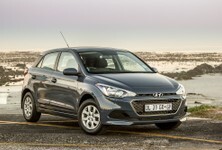 We get behind the wheel of the Hyundai i20 1.2 Fluid, tested here in manual guise. 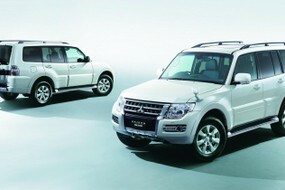 We Like: Spacious, good build quality, great warranty and service plan, plenty of features. We Don’t Like: Below par on safety specification, needs a modern punchier engine. The popular choice: Consider the Volkswagen Polo 1.0TSI Comfortline. 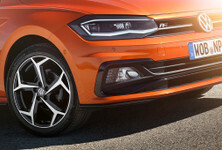 The new Polo is an excellent product and this derivative offers 70 kW and 175 Nm from its turbocharged 1.0-litre petrol engine. However, it’s warranty and service plan are not as comprehensive. Tick optional extras carefully. Latest from Ford: The Ford Fiesta 1.0T Trend has been recently overhauled and brings turbocharged engines across the range. The infotainment system is a treat and it happens to be one of the nicer and more enjoyable cars to drive here. However, it's more expensive than the Hyundai. French value: You can hop into the Renault Clio 88 kW Turbo GT-Line which offers 88 kW and 205 Nm of torque from its 1.2-litre turbopetrol engine. If you're wanting a touch of performance, then the Clio is a worth a look. Japanese class: Consider the Mazda2 1.5 Individual. It lacks the outright punch offered by its turbocharged rivals, but outputs are still decent at 82 kW and 145 Nm developed by its naturally-aspirated engine. The Mazda’s cabin is both modern and well-built with a generous amount of standard specification. The Hyundai i20 is one of the more popular cars from the Korean brand and it has been facelifted for 2018. 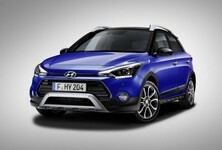 With almost 90 000 units sold in SA, the Hyundai i20 has been a success story for the Korean brand. Hyundai South Africa recently introduced a facelift for this model which brought along some changes, both visually and in terms of specification. The facelifted Hyundai i20 plays in an ultra-competitive space, with many products vying for a slice of the compact hatchback pie. The B-segment hatchback market sees the likes of the Renault Clio, Ford Fiesta, Mazda2, Toyota Yaris, Kia Rio and Volkswagen Polo battling it out. Despite it not fundamentally changing mechanically, the packaging change, value-for-money proposition and a comprehensive warranty and service plan stand it in good stead. 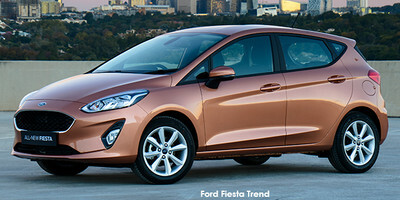 The Hyundai i20 1.2 Motion is powered by a 1.2-litre, naturally-aspirated four-cylinder motor. 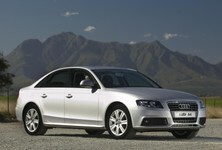 It offers out 61 kW and 115 Nm, with power driving the front wheels via a 5-speed manual transmission. A 4-speed automatic is available for those who don't wish to change gears themselves. The powertrain is one area where we think the Hyundai i20 lags a little behind its competitors. Whereas its rivals have mostly adopted punchier turbocharged engines, the Hyundai i20 has stuck to tried-and-tested naturally-aspirated engines. We're not saying it's a bad engine, it's just not as powerful or tractable as its blown rivals. Despite getting on in years, the 1.2L Kappa motor is a smooth operator and only ever sounds strained in the upper reaches of the rev range. Having driven the new i20 in a variety of situations, we can report that it consumed 7.6 L/100 km during its stay with us. If you pride yourself on smooth driving and gradual throttle inputs, you could no doubt reduce that figure into the 6s, which is only average in the segment. The 5-speed gearbox is more than up to the task of sliding through the cogs. It's refreshingly light in action, which helps in heavy traffic and makes the constant clutch-in, clutch-out motion a cinch. It's easy to use, which is a good thing as you'll be using it often if you're in a hurry or wanting to overtake on a highway. See, while the performance is adequate in an urban environment, overtaking on a highway requires some quick changes and some hard revs. With that said, if you are looking for perky performance, you won't find it in this 1.2 Fluid, but it's still a sensible offering which provides just enough shove to be a competent daily runner. The Hyundai i20 rides on 16-inch alloy wheels which offer reasonable levels of comfort. The Hyundai i20 has never been regarded as a sporty or entertaining drive, with the Koreans sacrificing driving enjoyment in favour of ride quality, low NVH and comfort. Sure, the petrol heads amongst us may laugh at it, but the masses in the buying market opt for more sensible facets of motoring. Some may class the Hyundai i20 as a boring drive, but we'd prefer the words 'solid' and 'dependable'. The clutch/gearbox and steering wheel action are light to operate but we did note that the i20's electronically-assisted steering is not the most generous when it comes to feedback. There's a fair degree of body roll when you're pressing on, but there's an air of easiness and simplicity, which will please owners who are after a sensible set of wheels. Levels of grip are high and the vehicle feels stable and composed, irrespective of speed. Hyundai SA claims to have reworked the front and rear suspension, and we found the ride comfortable with a touch of firmness on bumpier roads. The Hyundai i20 has a generous boot and is surprisingly practical. Despite the Hyundai i20 being a B-segment hatchback, cabin space is surprisingly good. It feels roomy with good personal space between the driver and passenger. Taller drivers will appreciate the height-adjustable seat that improves the headroom in a small car. The steering wheel is adjustable for rake and reach, meaning you can attain that perfectly comfortable driving position. Sitting behind yourself is a sure way of testing rear passenger comfort and the Hyundai i20 passed this test, with a 6ft1 driver (185 cm). Rear passengers should be comfortable in the back of the Hyundai i20, but headroom is a squeeze for taller folk. Boot space is rated at 285 litres which is on par for the segment. With the rear seats folded in the 60/40 split, you can access just over 1 000 litres, or one 29-inch mountain bike carried with ease. For the front passengers, there are numerous cupholders and storage bins for keys and phones. The touchscreen infotainment system is crisp with nice graphics, but it'll take some time to get used to. The dashboard has gained some soft-touch materials, giving the i20 a bit more of an upmarket look and feel. One of the key changes for the facelifted Hyundai i20 was the introduction of a proper infotainment system for the entry-level 1.2 Motion. This touchscreen setup requires some getting used to - at first glance, it's not the most intuitive, but customers will soon get the hang of it. The vehicle comes with USB and Aux inputs, however, the USB is not powerful enough to completely charge a mobile phone. 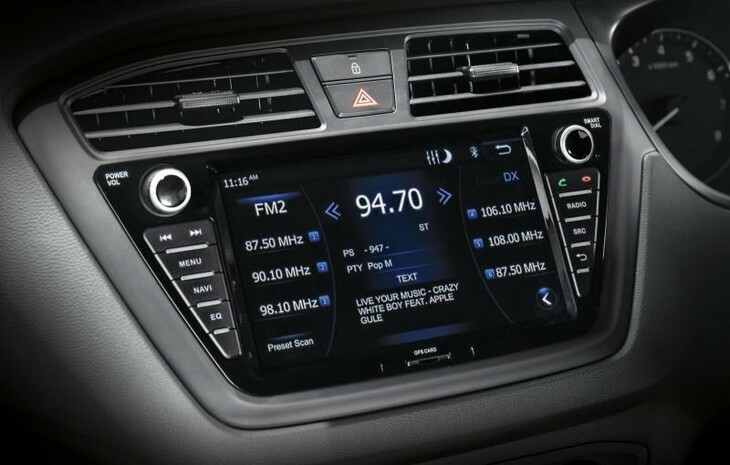 There's Bluetooth connectivity too, with controls on the steering wheel. The sound system has 4 speakers and 2 tweeters, and there's radio/CD/MP3 functionality. There are electric windows at the front, while the rear makes do with manual winders. The air conditioner is basic and manual in operation. The Hyundai i20 Fluid is priced from R241 900. All derivatives are sold inclusive of Hyundai's excellent 5-years/150 000 km warranty (and additional 2-years/50 000 km powertrain warranty), while 1.2L derivatives come with a 2-years/30 000 km service plan, extended to 3-years/60 000 km for 1.4L offerings. Roadside assistance is also part of the deal, for 5-years/150 000 km. The Hyundai i20 facelift quietly goes about its business and offers commendable value for money in a segment which is edging closer to premium status. Specification and practicality are good in the facelifted Hyundai i20, and while we'd like to see some form of traction control or stability control, we realise that this would have an effect on the list price. We found the engine acceptable if not entirely inspiring, offering just enough power to see it keep pace in an urban environment. It does need to be worked hard on a national highway to keep pace. Luckily the gearbox and clutch action is light and quick to keep the engine on the boil. Factor in that ultra-comprehensive warranty and generous service plan for additional peace of mind and it looks like the Hyundai i20 sales will continue at a steady pace. 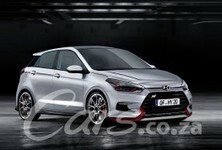 Interested in buying a new/used Hyundai i20?